Posted on March 21, 2011 | by TRIP! As you may know, I have been fundraising for my airfare to the International Harm Reduction Association Conference (IHRA) which will be happening this April in Beirut, Lebanon. I am proud and extremely pleased to announce that with the help of TRIP! Coordinator and North American Youth RISE rep Lisa Campbell Salazar I’ve been able to raise $900 so far! I feel so incredibly lucky to be receiving this amazing and motivating support from members of our global community! I am still a bit a way from being able to cover the airfare and any contribution would be greatly appreciated! Every cent counts and you can donate through the blue Canada Helps Button securely online. 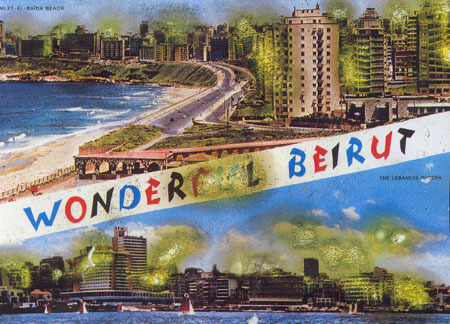 As well, I look forward to sending contributors postcards from Beirut, so please leave me your address if you would like to receive one! Thank you so much to everyone who has been donating, attending this conference will be a really big step for the TRIP! project as we expand our knowledge on harm reduction. Toronto is home to a very diverse community and we look forward to being able to serve it in a culturally adapted way and hope that this conference gives us the tools to reshape and refine our harm reduction skills as well as learn from global leaders in harm reduction. Make sure to stay posted to the TRIP! blog as Lisa and I will be updating it daily from the conference with relevant information to our community as well as with pertinent news from IHRA. Calling all Youth HIV/AIDS Peer Educators!